We have featured quite a few different iPhone docks here at Geeky Gadgets, the latest one is from a company called Gavio and it looks like they have taken their design inspiration from the household toaster. 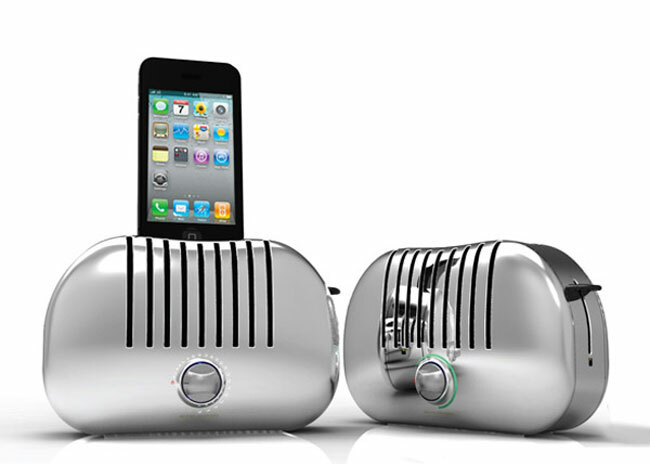 The TOAST speaker iPhone dock is obviously designed to be used in your kitchen, just make sure you don’t mix it up with your toaster, and place your iPhone in the wrong one. There are no details as yet on how much the TOAST iPhone dock will retail for when it goes on sale, you can find out more information over at Gavio.